Recent issues in the news these past weeks have given me pause to reflect on my social responsibility as a physician in my global, national and local community. I do not think I was alone in being shocked and angered when I read Kellermann’s and Rivara’s perspectives piece in February’s JAMA highlighting the systematic and complete stifling of scientific inquiry into the impact or effects of gun related violence. Starting with cutting CDC funding by $2.6 million dollars-the exact amount budgeted for the Center for Injury Prevention. When this money was eventually restored it was earmarked for traumatic brain injury research. The final appropriation contained language that no funds for injury prevention or control could be used to promote or advocate gun control. This vague yet restrictive language effectively halted research into gun violence. This edict was later extended to all Health and Human services agencies including the National Institutes of Health. What continues to disturb me is the question-why was this tolerated for 17 years? Where were the public health advocates? Where was I? Why was any special interest or agenda allowed to suppress the intellectual freedom of scientific research? This past week’s story of hunger strikes at Guantanamo Bay hit even closer to home, at least in a philosophical metaphorical sense. Over a hundred prisoners have been on a hunger strike as conditions deteriorate at the prison with no resolution in site. Due to concerns of starvation and death, military officials at the prison have ordered the forced placement of an NG tube to deliver artificial nutrition to Guantanamo Bay prisoners against their consent. We, as palliative care providers, are the champions and guardians of autonomy. We work to ensure that patient preferences are respected and honored. Autonomy forms the cornerstone of Western bioethics. This means consent for medical interventions and the freedom to refuse these interventions. The autonomy of prisoners is afforded extra protection under the Belmont report -as vulnerable agents at risk of coercion, medical research must undergo additional scrutiny. 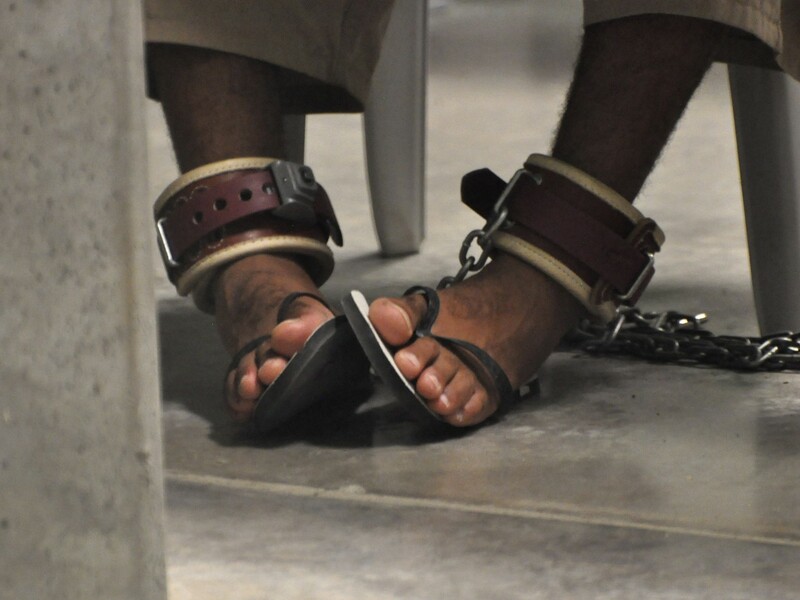 Undoubtedly, the situation at Guantanamo is complicated. Large-scale deaths of prisoners due to electively forgoing food and water for the purposes of political protest could lead to massive and even violent demonstrations throughout the Islamic world. This administration has faced many difficulties and challenges in its efforts to close this facility. However, when the twice daily forced placement of NG tubes for the purposes of delivering artificial nutrition came to light, Ronald Flanders, a spokesman for the U.S. Southern Command, stated that the technique is similar to that used for elderly and small children. The aspects that seem quite different to me, is that the prisoners are shackled at the wrists and ankles for this procedure and do not give consent or assent. As a palliative care physician, whose passion is to protect autonomy and the right to refuse unwanted medical interventions, I would like to join my voice to that of Dr. Jeremy Lazarus, president of the American Medical Association, and state unequivocally, that forced feeding without consent represents assault of the prisoners and violates our core ethical principles. I do not want to sit silently at the sidelines. So I will be writing my Congressional representatives as a physician to implore them to stop this human rights violation and honor autonomy. And invite other readers, who may have also been experiencing a nagging sense of social responsibility to join me in letting your voice be heard. Courts take a different view when it comes to prisoners. They are after all incarcerated and the loss of freedom, including when to eat and what to eat, is part of their punishment. Refusing to eat is viewed as disobedience and therefore feeding can be forced. Are you for prisoners deciding how to run the prisons? I agree that prisoners have lost their freedom to choose when and what they eat. It is not clear whether they have lost their freedom to choose whether they eat. Your final question presents a ridiculous false choice that does your argument a disservice. Allowing a prisoner to refuse food does not mean that they get to make other prison decisions. Finally, the point that needs to be made is that most of the detainees in Guantanamo appear to be guilty of being in the wrong place at the wrong time. Even if they were guilty of terrible crimes, I doubt I could support force-feeding. However, given that most appear to be innocent, put under a decade-long open-ended detention without charge, force-feeding is wrong. I am not sure this topic is appropriate for palliative care. This is bordering on the ethics of the "war on terror" which remains hotly controversial and is anything but settled. We palliative care practitioners have enough on our plate and do not need to wade into these waters. Anon - docs need to be engaged with political issues with medical implications. Stacy: Thank you for bringing up this topic. I agree that what is being done to these prisoners is wrong and unethical and that we as physicians should oppose it.